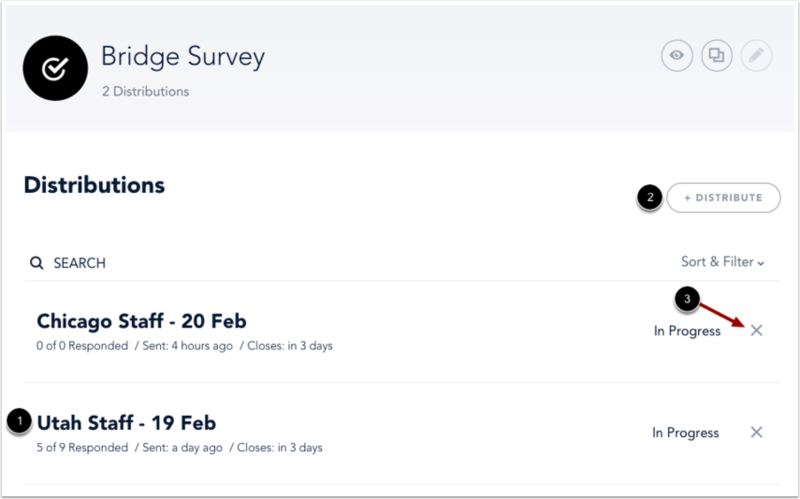 On the survey details page, you can view and edit details for your survey, including distribution lists. On the survey details page, you can view all details for your survey. 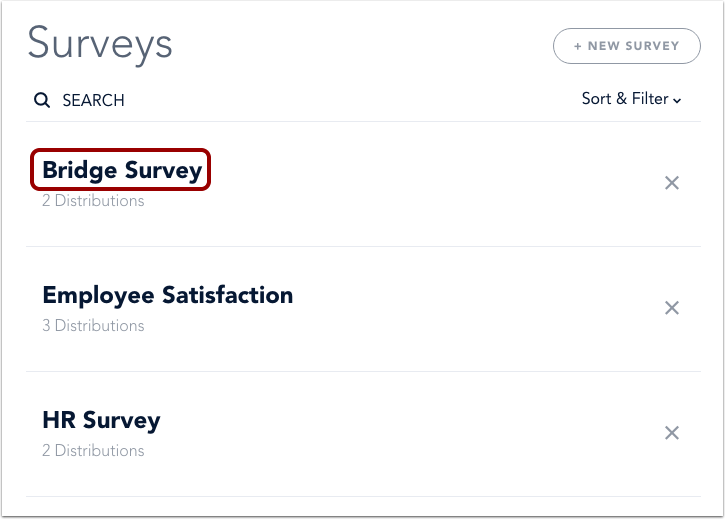 You can view the number of distributions for your survey , and if your survey has not been distributed to learners, you can edit survey content . To duplicate your survey, click the Duplicate icon . To preview your survey, click the Preview icon . 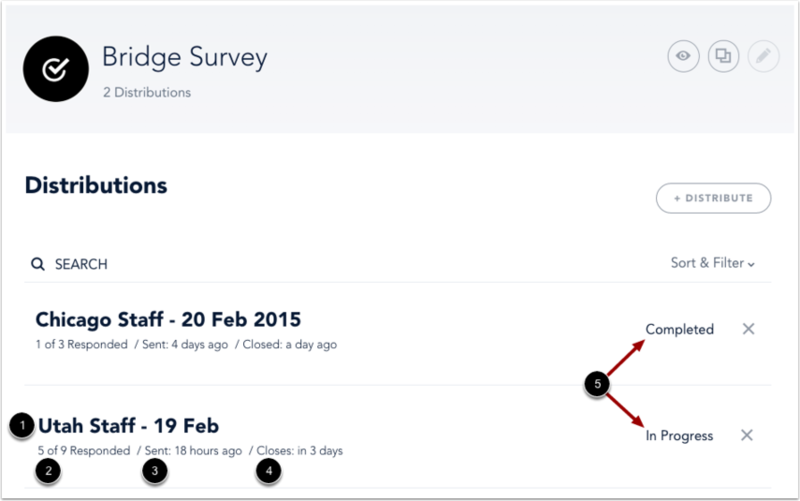 The survey details page also lets you view and manage distributions for your survey. For each distribution, you can view the title , total number of respondents and recipients , when the survey was sent , and when the survey closes . You can also view the status of each distribution , which is shown as completed or in progress. To view survey results for a distribution, click the name of a distribution . To add a distribution list, click the Add Distribute button . To delete a distribution, locate the distribution and click the Remove icon . In the Search field , you can search all distributions for your survey. Previous Topic:How do I view survey results? Next Topic:How do I send a message to survey participants? Table of Contents > Manage Surveys > How do I view survey details?